I suppose it wouldn’t take a particularly astute observer to notice that most of my posts for the last 6 months or so have been more orientated towards dissuading people from participating in the ‘national outrage’ rather than addressing whatever it is we’re ‘outraged’ about. The reason for this is twofold: 1., my research has shown ample reason to believe that there are people who deliberately wish to create and direct mobs and 2., I consider a mobocracy to be one of the most dangerous threats to freedom that history has ever seen. Thus, I try to avoid ‘national conversations’ and I am definitely not keen on participating in our collective ‘two minutes of rage.’ But I am interested in trying to awaken people to their manipulation, and that means to some degree referring back to whatever people are rabid about today. Well, what everyone is frothing at the mouth about today are guns, inspired by the latest school shooting. I have very strong feelings about these shootings, and recently argued that if we were serious about stopping them, we would come to grips with reality and harden our schools with armed guards. I believe that a big part of the reason people resist this obvious solution (after all, we have armed guards at banks, sporting events, air marshals, etc) is that it is a bold admission that there is something dark in the heart of man which cannot ever be legislated away. It won’t be deterred by ‘No guns allowed’ signs. Opposing guns is a cheap way to avoid hard philosophy. But what if its worse than that? What if a big part of it the fixation on the guns is simply because so many people are easily manipulated? What if they lack all ability to think for themselves and WANT to be angry every day, treating their anger as action, and letting their good intentions mask their impotence? How would one know? Well, dear reader, that is precisely the question I want you to ask yourself. Most people are disgusted by the accusation that they are simply a tool. That will be little consolation if some future outrage you participate in morphs unexpectedly into a Bolshevik purge. I’m sure the outraged Russians of 1910 didn’t think they might help usher in one of the bloodiest regimes known to human history… and yet they did just that. So, how might one actually know? I want to give you some tips, and I want to give you a concrete example of something you ought to be outraged about, but you’re not, because… because… because… because the national media has chosen not to look at it, and since YOU ARE A TOOL, you do NOT look at it. You only look at the things the media tells you to look at. Sad! So, one of the best ways to tell if someone has gone off the deep end is when they’ve lost all ability to keep things in proportion and view them in perspective. The latest school shootings are a great example. As I said, I am not at all indifferent to school shootings. However, I know where they sit in the larger context. I know, for example, that despite a high rate of gun ownership in the United States, the homicide rate is fairly low, and if you exclude Baltimore, Chicago, and a handful of other towns, the homicide rate is comparable to any of the countries with low homicide rates and strict gun control. Eg, the UK. 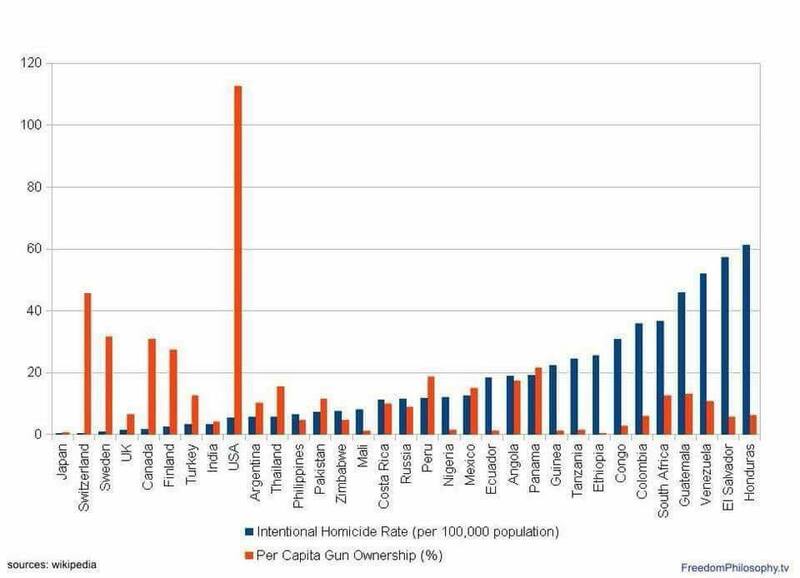 Meanwhile, there are plenty of countries with strict gun controls where the homicide rate is absurdly high. One almost gets the impression that the problem isn’t the gun! Would you rather live in Honduras, or the USA? As you can infer from the fact that America’s top 10 cities have more than 50% of the gun homicides, one of the other things we know is that school shootings, despite being horrible (probably preventable) incidents, simply are not the national problem that the national media would have us believe. 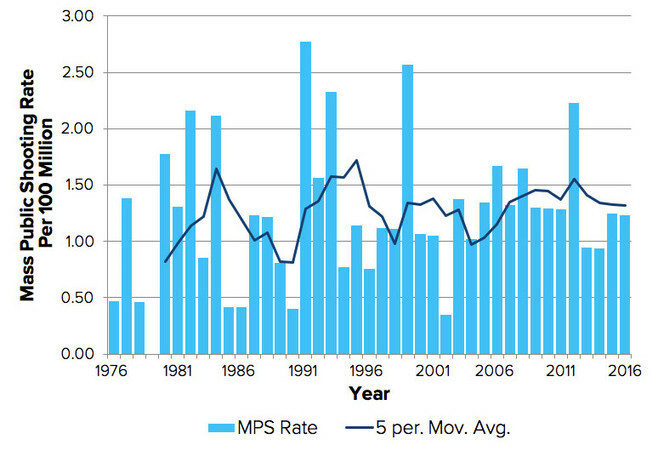 For homicides, one big factor seems to be that the everyday shootings happen out of sight and out of mind for most Americans, since so many occur in poor, black, urban communities. In 2013, for example, more than 51 percent of homicide victims (75 percent of whom were killed by guns) were black, even though they make up 13 percent of the general population. It is not uncommon for Chicago to put up as many deaths in any given weekend as are killed in a school shooting, but you don’t see any national outrages inspired by those! Why is that? Setting aside the possibility that gun control advocates are RACISTS, the real reason is worse in a way: school shootings better fit the gun control narrative. Mass deaths in crime ridden areas do not fit that agenda, and in fact, may actually contradict that agenda, therefore NO ONE CARES. The national media can’t make a strong connection between the conditions that leads to gang violence and legally owned weapons… so they simply don’t talk about it. One big way to avoid being being a tool is to read widely, of various sources of different political persuasions. Read books, too. Every day, I read multiple LIBERAL websites. My daily pattern is this: I start with the Drudge Report, and then from there see what’s going on with the WAPO and the NY Times, and then will mosey on to Huffpo and Salon. I never read conservative media unless its linked from the Drudge or it pops up on my Facebook feed. In my experience, my pattern is similar to other conservatives. That is to say, conservatives read liberal media as much as anything else, whereas liberals and mainstream Americans only read liberal media. And that is a big problem when it comes to keeping things in perspective. The liberals like to paint themselves as the objective, non-partisan ones. It is not so! I want to give you a case in point. Back in December, the Politico published a damning expose on how the Obama administration deliberately shut down prosecutions of drug smugglers in order to preserve their ‘deal’ with Iran. Specifically, Obama and his team looked the other way as Hezbollah enriched itself by smuggling cocaine into the United States. This is staggering, if true. And it appears to be true. But you would not know about it AT ALL if all you read was the NY Times. It has now been almost 3 months, and the NY Times has yet to follow up on the Politico’s reporting. The WAPO is hardly better. Well, who cares if loads of cocaine come into the country? 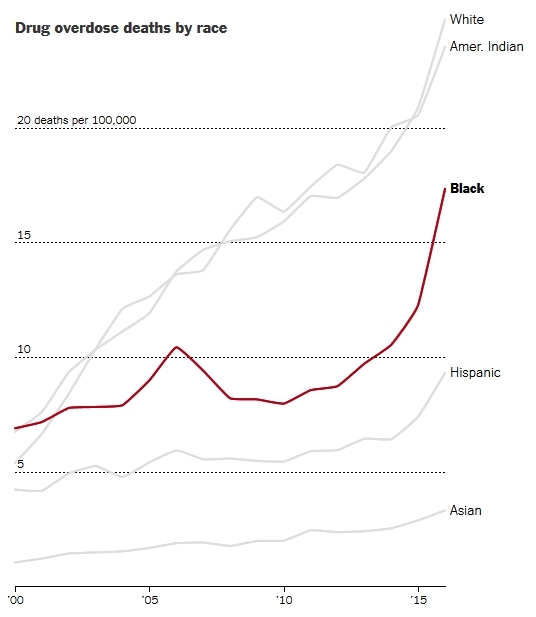 It is interesting–the NY Times didn’t feel like following up on the Politico piece, but when the report came out that opioid (and cocaine) deaths were on the rise, including in black communities, it covered THAT. The Politico piece came BEFORE the NY times article on the rise of drug deaths, so it is quite the omission. Well, just how many people died from drug overdoses in the US in 2016? How many people were murdered by a firearm in in the US in 2016? Which number is bigger? 60,000 or 11,000? Media attention on a relatively small amount of school shootings? MASSIVE. How many deaths to school shootings in 2016? Outrage for school shootings? MASSIVE! Outrage over 60,000 deaths PER YEAR to drugs in the US? Zero. Media attention 60,000 dead to drug over doses? Sure, its there, but you don’t see any hyperventilating, do you? What? No calls to make heroin and cocaine illegal, despite there being 6 times the number of deaths due to them as opposed to guns? Oh, that’s right. Drug smuggling and drug use is already illegal–and it didn’t stop anyone. It doesn’t fit the narrative, so we don’t have hourly fits of panic and rage about it. But this Hezbollah story justifies outrage if every outrage was justified. First of all, note that drug overdoses in general have gone up for everyone, but one of the hardest hit groups are BLACKS. When did the blacks start getting hit the worst? Shortly after Obama was elected. Shortly after Obama thwarted prosecution of Hezbollah. Now, you KNOW that if a Republican president had looked the other way on drug smuggling and at roughly the same time drug over doses in the black community sky-rocketed, there would be hell to pay. We’d be hearing about it every day. If it was the Trump administration, The NY Times, which has not followed up on the Politico piece AT ALL, would be asking the obvious question: just how many of these drug overdoses are from drugs brought in by Hezbollah’s smugglers? If it was Trump, we’d have a rough answer to that question, and impeachment proceedings would have already been initiated. But since it was Obama: silence. Don’t lie to yourself. You know its true. You know it. In fact, if you are a liberal, this may very well be the first time you have even heard about the giant pass that Obama gave Hezbollah. The odds are equally unlikely that you heard that Hezbollah recently shot down an Israeli jet plane… where did Hezbollah get the money for that missile, I wonder? What other capabilities does Hezbollah have (eg, striking America?) thanks to the veritable cash donation the Obama admin made to Iran’s terrorist expeditionary force? I could have focused only on the fact that there are more gun fatalities in cities, largely by blacks murdering other blacks. But my goal here was to expose 2 things: 1., if you had any sense of proportion whatsoever, you would know that even in THAT regards, blacks and whites together are dying in far greater numbers to other things which 2., are barely a glimmer in the eye of the media. This raises profound questions about the health of this society. And its not by any means the only questions that arise if you really try to assess the true state of the country. There are many things to get angry about. But let’s keep it in proportion, and lets take the time to study and research it ALL. Eventually, our national outrage machine is going to cause serious, perhaps irreversible harm. Harm that perhaps dwarfs any of these other things we argue about. There may be no going back. If we’re going to get angry, we should be getting angry because of the results of our own research, not because the media has whipped us up into a daily frenzy. Well said. I think that perhaps the MM might be most upset about its sliding grip on manipulation of public opinion, and good on Trump for doing an end-run around them. But they still hold significant sway over significant numbers.